Front talks itches, debriefs, actionability & quick thinking with David McGlone. Welcome to our irregular feature on our creative partners, their work, passions and what drives them. This month: David McGlone - Insight and research agency director at Brand Edge. David, thanks for speaking to us. Can you give us a quick summary of your own career? Well, I have a professional seven-year itch: I spent seven years in Leeds with Principles, seven up in Edinburgh with Faulds and then seven with McCann Manchester! I started out as a trainee researcher and planner which I quite liked as I got to meet people, work with creatives and not have to do that much admin... I've never looked back. Over the years, I've worked on some great brands in all sectors, of all shapes and sizes and with all manner of challenges. I've also met some fantastic people along the way. When and why did you set up Brand Edge? We set the business up in 2011. 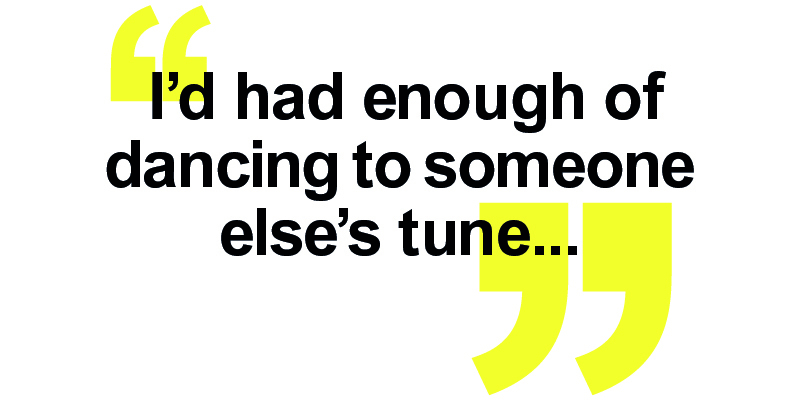 The reason was simple: I'd had enough of dancing to someone else's tune as I was spending more time on management stuff than actually seeing clients, finding insights and solving problems. We took the view that too many researchers add to a fog of information and too many strategists confuse more often than they clarify. So, we built our proposition around identifying insights and activating them to better effect. And – also importantly - doing it all cost and time efficiently. What sectors do you work in and what kinds of services do you offer? We deliberately don't do ‘specialisms' as it can lead to a myopic focus on category conventions. Our client base is really varied and a month could involve anything from running audience segmentation projects for businesses in areas as diverse as utilities and homewares, to fast turnaround creative testing for FMCG brands, or from workshops in Croatia (to develop a positioning for a poultry vaccination brand) to doing international qualitative research for a luxury malt whisky. That variety is what drives us. How have the strategic research and brand planning industries changed in the last 10 years? I don't think the fundamentals have changed that much but the context has. Obviously the growth of digital has had a huge impact, but the changes in shopper marketing are just as profound. Add to that the proliferation of brands, and the advent of a much more entrepreneurial culture, and you get to three big implications for research and strategy: 1) You have to think quicker; 2) Accept that there isn't always a “right answer”; and 3) Dig a bit deeper to find the language of differentiation. 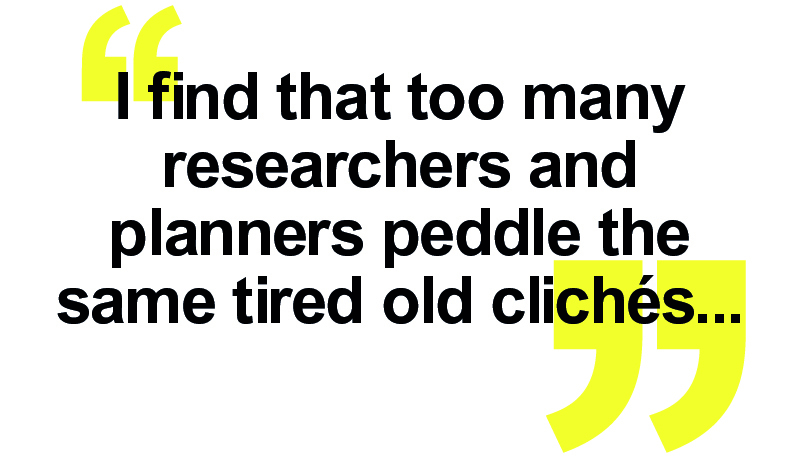 I find that too many researchers and planners peddle the same tired old clichés to clients irrespective of sector or circumstance. How collaborative are you with your clients? Hugely – we get the odd brief that means locking yourself away, but 95% of them involve really close collaboration - otherwise there's a real risk that you ask the wrong questions or focus on the wrong issues. It always frustrated me when I saw planners retreat to their intellectual ivory towers, coming out after weeks to share their wisdom and end up wondering why no-one bought into their “genius”. How does that collaboration play out in practice? We try to keep our clients in the picture at all times, involve them in research, run debriefs as workshops rather than presentations and make sure that we surprise them with insights that change the way they think about things. What sets Brand Edge apart? We focus on insight, clarity and actionability. There's also no pretension or preciousness. Where do you want the business to be in five years' time? We enjoy what we do and our clients value it – so long as that remains the case, that'll be success to us. Finally, what are your top rules in business? Be yourself, never let anyone dampen your enthusiasm, and do what you say you're going to do.